The scheme is supported by UK Partnership of Archives and Records Association, Archives and Records Council Wales, CyMAL, National Records of Scotland, Public Record Office of Northern Ireland, Scottish Council on Archives and The National Archives. The National Archives have produced some workshop notes for specialist/institutional repositories. The principles covered can be applied to the business sector. A growing number of businesses are representated. The National Archives has a list of accredited archives. 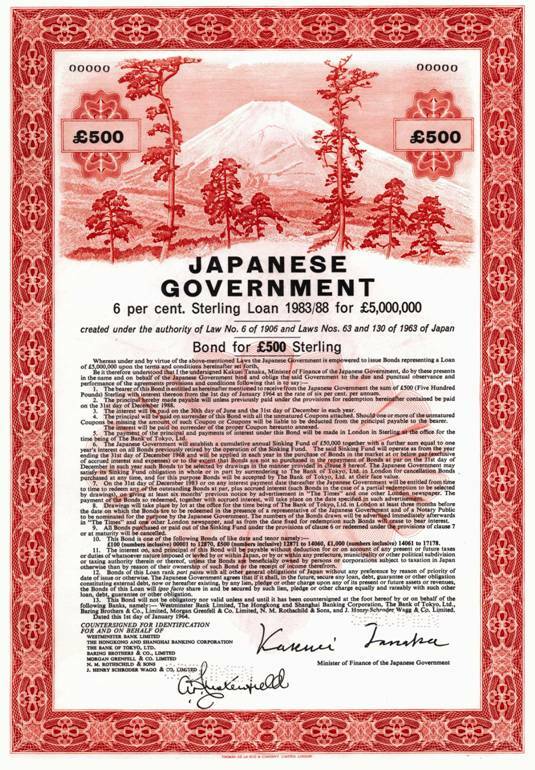 Specimen bearer bond for Japanese Government issue. Image courtesy of The Baring Archive.